One of my favorite Christmas snack got dressed up with a fun snowflake topper and pomegranate decorations. This healthy Christmas tree snack is super easy to make and can also be used as a mini Christmas crudité for your dinner guest. 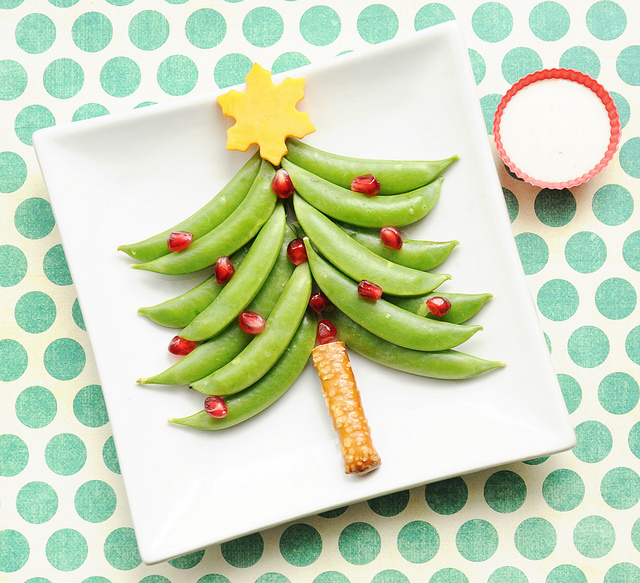 You can check out this fun Christmas tree snack for kids over Canadian Family.